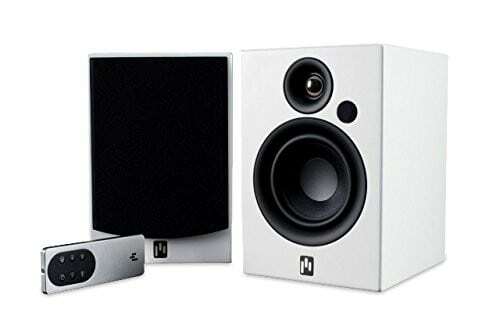 If you often utilize your desktop or laptop for gaming and media player playback, its speakers are one of the most essential peripherals. 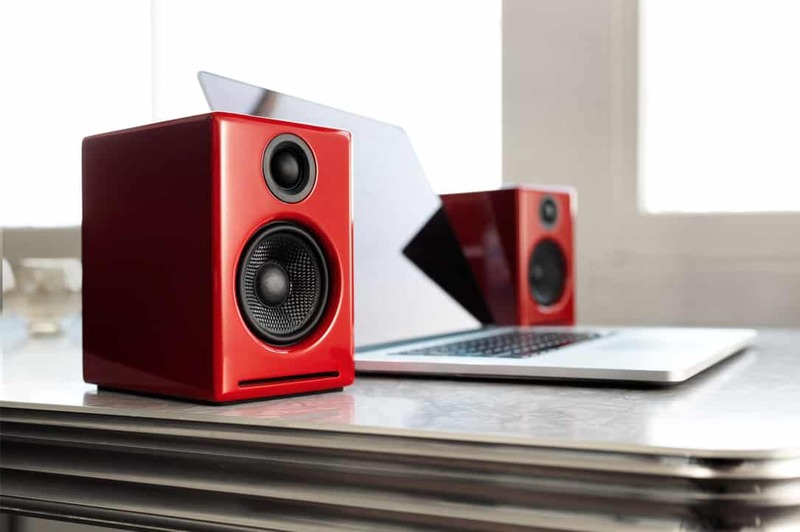 Many desktops come with relatively bog standard external speakers, so it’s usually worth adding a new set of speakers to boost the audio quality. 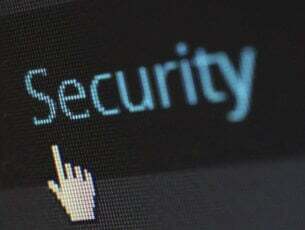 You can enhance your PC‘s audio with 2.0, 2.1 (which include a subwoofer for low-pitched audio) and wireless Bluetooth speakers. These are some of the best PC speakers for 2019. The $339 Aperion Allaire is a versatile set of premium Bluetooth speakers that provides an unprecedented number of connection options. Aside from Bluetooth connectivity, the speakers include optical and analog aux inputs so that you can hook them up with a wide variety of devices. Furthermore, you can connect an extra subwoofer (not included) to them to get deeper bass frequencies for some extra rumble. With a 50 watt Class D amplifier, the Allaire pumps out pulsating and balanced sound with smooth highs and deep bass. The speakers also come with a wireless aluminum remote control, which is a handy accessory. The Logitech Z313 is one of the best value 2.1 speakers for 2018 that’s retailing at just $49. 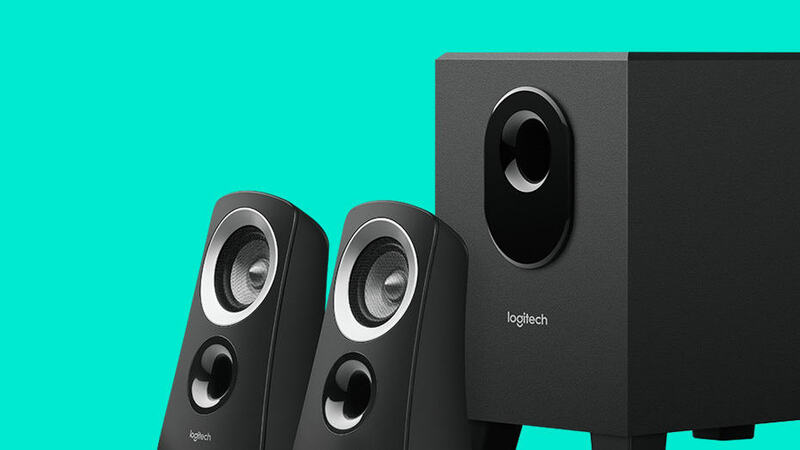 The Logitech provides rich and balanced audio at medium volume, and its subwoofer further enhances bass. It includes RCA and 3.5 mm inputs with which you can connect tablets, mobiles, DVD players, iPods and TVs. An alternative Z313 package also includes the Logitech Bluetooth Audio Adapter for wireless connectivity and media streaming. Klipsch ProMedia 2.1 is a highly rated speaker system that really rocks with its 130-watt subwoofer. The speakers incorporate Micro Tractrix Horn tech that ensures crisp and clear sound at any volume range, and they have maximum volume output amounting to 106 dB. The ProMedia 2.1 has two volume controls for both the subwoofer and satellite speakers so that you can get just the right balance between the two. The device has a wide 31 Hz to 20 kHz frequency response range. There’s also an alternative Klipsch ProMedia 2.1 Bluetooth model with which you can wireless stream music between your devices. This is not a new set of speakers, but the Audioengine A2+ remains renowned 2.0 stereo speakers. These compact six-inch speakers have a stylish, wooden design and include three alternative color options. For relatively small speakers, the 60 W A2+ pumps out surprisingly high volume at 95 dB with substantial bass. The A2+ has a good range of connectivity ports, which include 3.5 mm, USB and RCA. As such, you can use these speakers with DVD players, mobiles, tablets and consoles as well as desktops and laptops. You can also add a subwoofer to the A2+ to rev up its rumble. In addition, you can utilize the A2’s W3 wireless adapter for wireless audio playback. 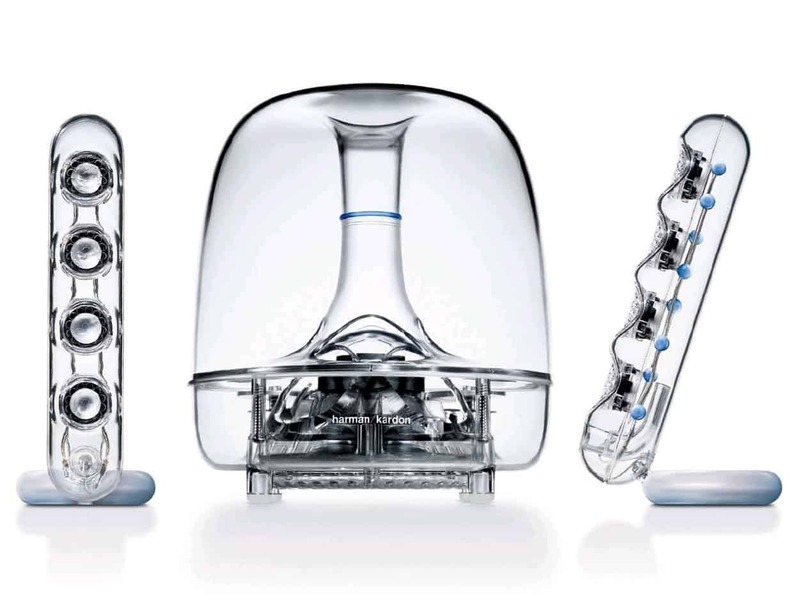 As you can see from the image above, the Kardon Soundsticks III has an innovative transparent design. Aside from its stunning design, the 2.1 Soundsticks III multimedia sound system provides rich and realistic audio that few other speakers can match. As this speaker system comes with an adjustable subwoofer, it pumps out low-frequency audio that really rumbles. Soundsticks III also includes a 3.5 mm audio connection, so you can utilize the speakers with most devices that have stereo line-level outputs. 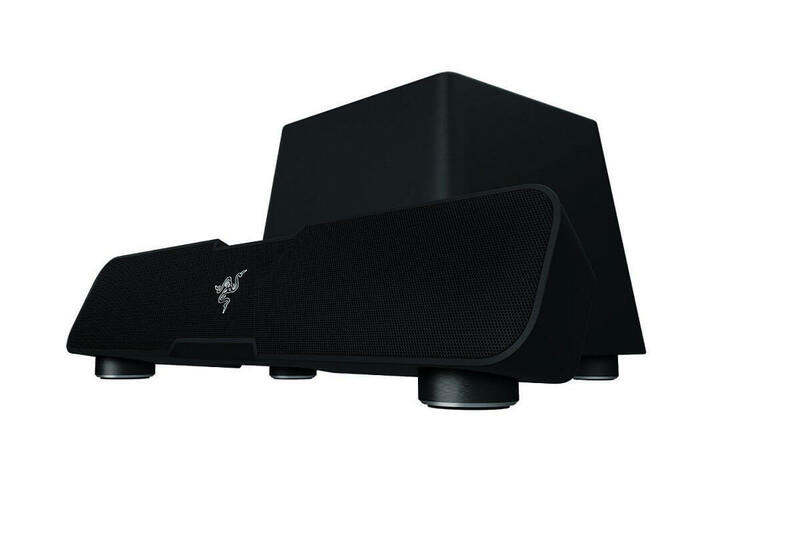 If you’re a gamer and you want to have immerse gaming experience, perhaps this speaker might be just what you need. This speaker has a 5.25-inch subwoofer, 2×2.5-inch drivers and 2×0.74-inch tweeters. In order to provide you with maximum sound quality, this speaker supports Dolby 5.1 virtual surround. As for the frequency, this device supports 180Hz-20KHz frequency range. It’s worth mentioning that this speaker supports Bluetooth aptX technology, so you can play music remotely from any Bluetooth device. The device also has a 3.5mm port, so you should be able to connect it to any other device that has a 3.5mm audio port. Overall, Razer Leviathan offers 5.1 virtual surround sound, so it will be a perfect companion for your PC or any other device. Bluetooth support is another welcome addition, so you can also use this speaker with your Android or iOS device. The KEF EGG is indeed a cracking (LOL) set of Bluetooth speakers for 2018 that has had rave reviews. 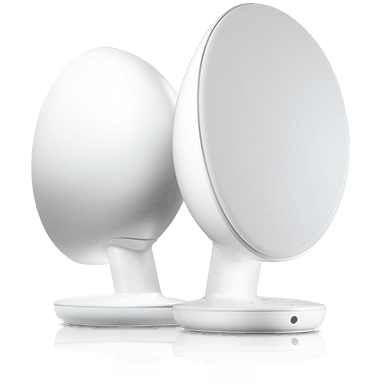 The main novelty of the EGG digital music system is the rounded oval design that distinguishes it from standard rectangular speakers. The EGG incorporates innovate audio tech such as the Uni-Q driver array for more coherent frequencies that give it immaculate sound quality. This is a versatile set of Bluetooth speakers with which you can wirelessly stream full stereo music and connect to TVs, desktops, laptops and other devices via its 3.5 mm AUX and USB B inputs. There’s also an additional port for subwoofers so that you an upgrade the KEF EGG to a 2.1 speaker system. Few other speakers can match the EGG’s flexibility and design and sound quality. Those are six great speaker sets for 2019 that have top-notch audio and designs. 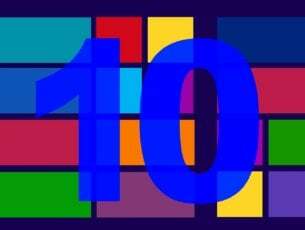 You can add the speakers to your Windows desktop or laptop, and utilize them with other devices. So some of those speakers can also considerably enhance audio for tablets and mobile devices.